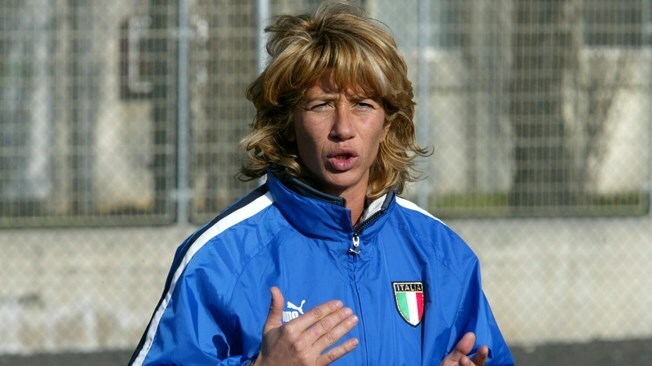 Footballer and coach Carolina Morace, the first woman to be inducted into the Italian Football Hall of Fame, was born on this day in 1964 in Venice. Morace played for 20 years for 10 different clubs and was the leading goalscorer in the Women's Serie A on 12 occasions, including an incredible run of 11 consecutive seasons from 1987 to 1998. She won the Italian championship 12 times with eight of her clubs and scored an extraordinary 550 goals at an average of three in every two games at her peak, with a further 105 goals in 153 appearances for the Italy national team. Four of those came in one match when Italy Women played England in a curtain-raiser to the pre-season Charity Shield game at Wembley in 1990, which she described as one of her proudest moments. She remains the only player, male or female, to have scored four goals in one game at Wembley. Morace, the daughter of a former officer in the Italian Navy, grew up a stone’s throw away from Venice's football ground at Sant' Elena. She joined her first club in Venice when she was 11 years old, her ability to score goals allowing her to be accepted quickly in boys' teams. Her father soon realised she needed to play at a higher level and at 14 helped her move to a club at Belluno, 120 miles north of Venice in the mountainous Dolomites. The same year she was called into the Italy national squad for a friendly against Yugoslavia in Naples in 1978, entering the game with 15 minutes left as substitute for Betti Vignotto, for many years the leading Italian striker and team captain. When Vignotto retired from international football 11 years later, she passed the captain’s armband and the number nine shirt to Morace. During her international career, Morace took part in six European Championships as well as the inaugural FIFA Women's World Cup in China in 1991, where she scored four goals, including the first hat-trick scored at a World Cup in Italy's 5–0 win against Chinese Taipei. Her retirement from playing came at the age of 34 at the end of the 1997-98 season, after winning her 12th Serie A title, with Modena. By then, Morace had begun her preparations for life outside football by completing a law degree, but remained in the game as a coach, looking after the women's team at Serie A club Lazio, where she also spent time training the club's male reserve team. She was offered a job coaching a men's team in 1999 with Serie C club Viterbese, although she resigned after just two matches in charge, accusing the club's owner of interfering in team matters. Morace was not long out of the dugout, however. In 2000, she was appointed coach of the Italian women's national team, where she spent five years, qualifying twice for the European Championship finals, before taking charge of the Canada women's national team in 2009. Under her tutelage, Canada won the 2010 CONCACAF, 2010 and 2011 Cyprus Cups and 2010 Four Nations Tournament, although there was disappointment at the 2011 FIFA Women's World Cup when the team's top scorer, Christine Sinclair, broke her nose in the opening group match and Canada failed to qualify for the second phase. 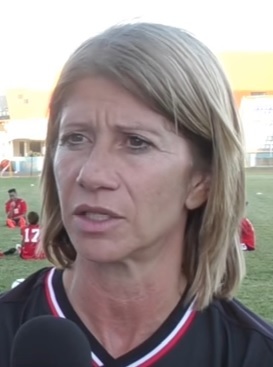 An exacting coach who expected her players to meet certain standards and insisted on appropriate support from the national federation, she resigned in July 2011 after a dispute over budgets. Morace improved Canada's FIFA ranking from 11th to sixth during her period in charge. Subsequently, Morace has conducted FIFA coaching courses around the world and launched her own football academy. She had a spell coaching Australian men's team Floreat Athena FC before being appointed Trinidad and Tobago women's national team coach in December 2016. Update: Morace left her position with the Trinidad and Tobago team in 2017 and in 2018 signed a two-year contract to become the first coach of AC Milan Women. Away from the training ground, Morace has a legal studio in Rome and has made regular appearances as a football pundit on Italian television, as well as writing a column in the football newspaper, La Gazzetta dello Sport. 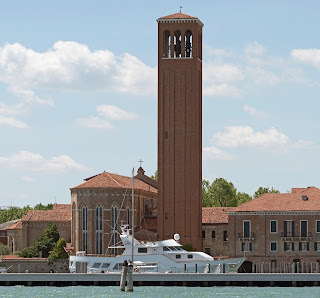 The island of Sant'Elena lies at the eastern tip of the group of islands that make up Venice and forms part the Castello sestiere (district). Linked to the rest of the city by three bridges, the area has developed around the Church of Sant'Elena and its monastery, originally built in the 12th century. Sant'Elena also includes the Parco delle Rimembranze, an attractive green space - rare in Venice - that was created to commemorate soldiers who died in the Second World War. Nearby there is a naval college, the Stadio Pierluigi Penzo football stadium, the Venice Bienniale buildings and a residential area. 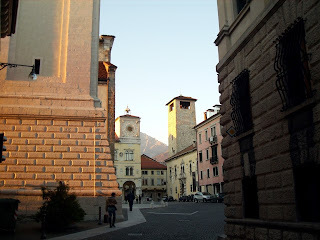 Belluno, where the teenaged Morace had to travel to play at a standard that suited her ability, is a beautiful town in the Dolomites, surrounded by rocky slopes and dense woods that make for an outstanding scenic background. The architecture of the historic centre has echoes of the town's Roman and medieval past. 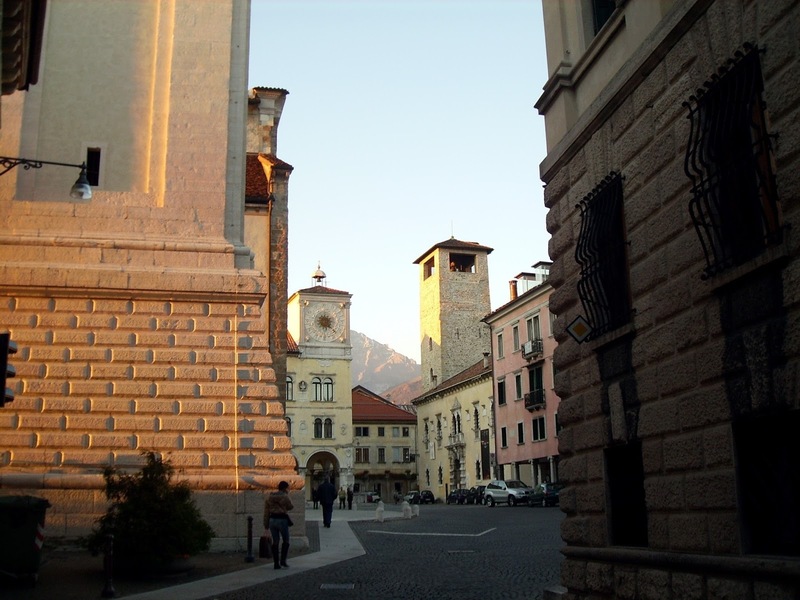 Around the picturesque Piazza Duomo can be found several fine buildings, such as the Palazzo dei Rettori, the Cathedral of Belluno and Palazzo dei Giuristi, which contains the Civic Museum.